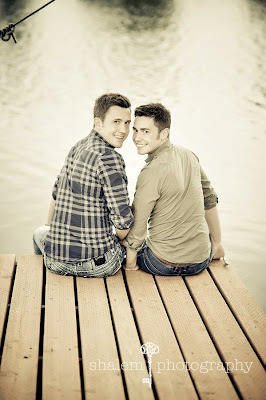 Love is Love is a portrait project by photographer Mitch Kitter and his partner Shalem Mathew. The project aims to capture the lives of gay, lesbian, bisexual and transgender couples from across Alaska. 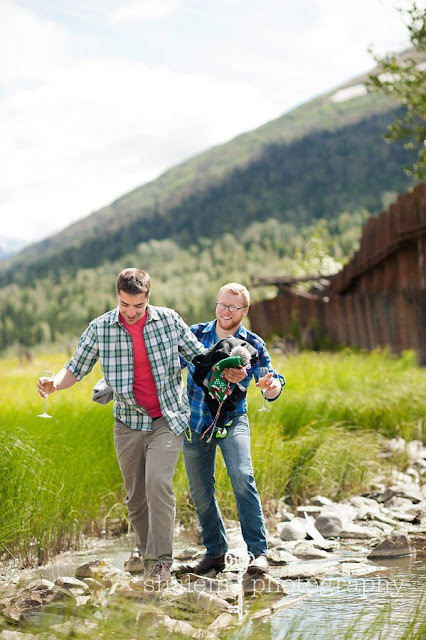 Kitter and Mathew have been photographing LGBT couples of all shapes, sizes, and colors to help show how “Love is Love”. 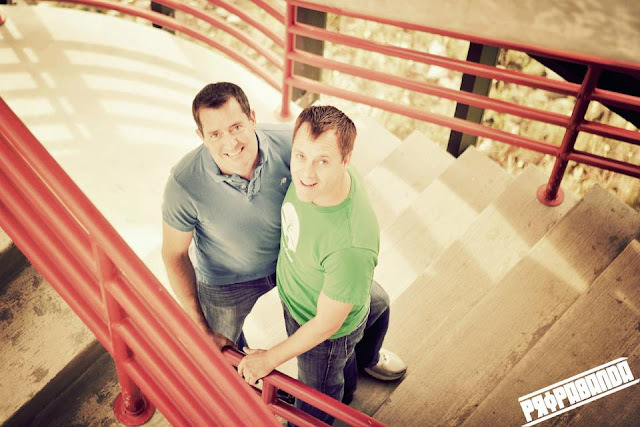 Check out the story of one of Kitter and Shalem's lovely couples after the jump. From Mitch Kitter's PropogandaAK website. 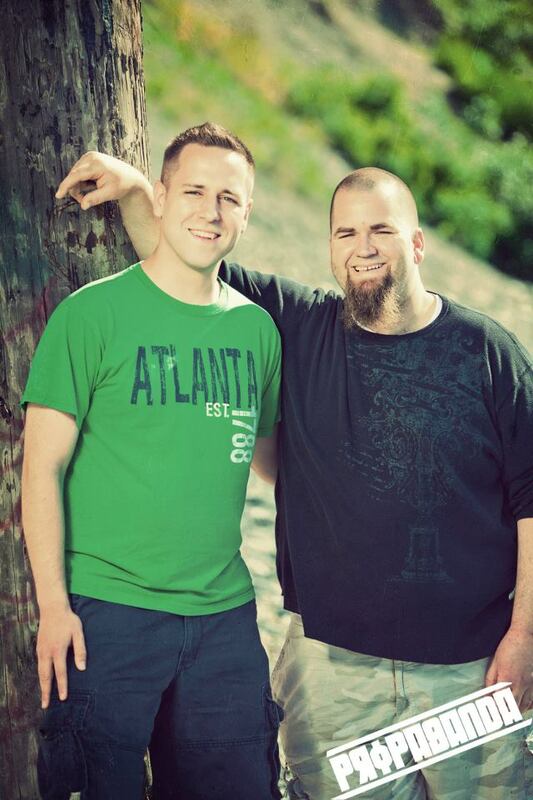 Adam Womble and Casey Griffith were one of our wonderful couples that posed as subjects for the Love is Love project. As part of our consultation, before each shoot we sit down with the couple to find out what makes them tick. Some of the questions we ask include: Tell us about your first date, where did it all start, describe the perfect day. These questions helped Shalem and I plan out the images we want to photography. With Adam and Casey we started at the Northern Lights Bingo hall for a few quick games. After bingo we headed around town to shoot some more pictures. 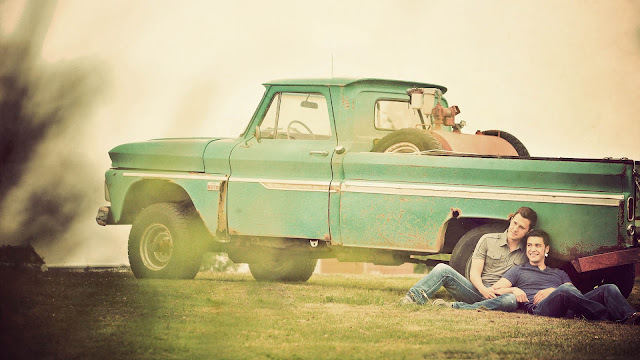 We found the most perfect vintage truck and used it as a background for one of our final images. Their pictures and story were shared with over 750 people at Treft.Punkt studio for the Love is Love First Friday on October 5th, 2012. Here is an excerpt of their story we shared in the Love is Love Book. 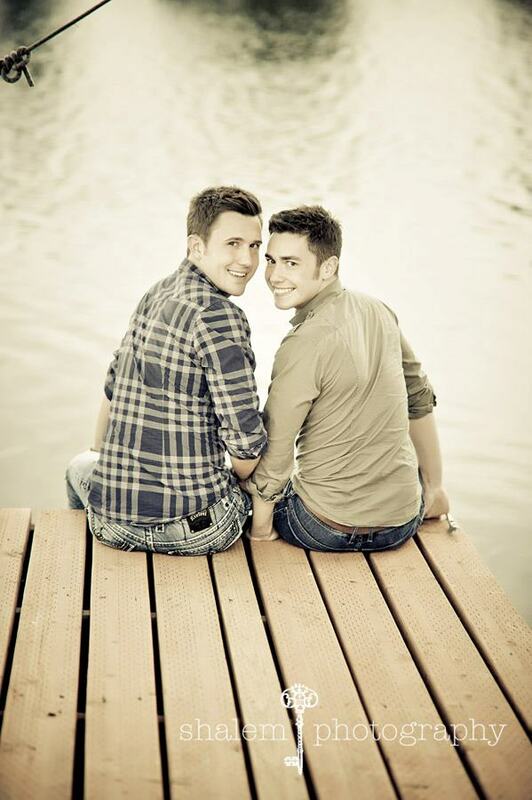 In 2009, Adam and Casey met while they were both out with friends. They immediately noticed one another, but both of them were too shy to approach the other. So, Adam sent his best friend over to test the waters. They hit it off immediately and spent the rest of the night showing off their smooth moves on the dance floor. It wasn’t until a year later that their paths crossed again. They talked daily and maintained a long-distance friendship since Casey was living in Fairbanks at the time. A year later, they decided to take their relationship to the next level and began dating. They recall their first date in Fairbanks where Casey’s car ran out of gas at 35 below zero and they had to siphon gas into the tank with an empty Starbucks cup. As they stood outside the car freezing, they said to one another, “If we can survive this, we can survive anything together.” Adam eventually moved up to Fairbanks, and after a year the two returned to Anchorage where they are currently living and pursuing degrees in Nursing. To learn more about this project, check out Love is Love's facebook page. 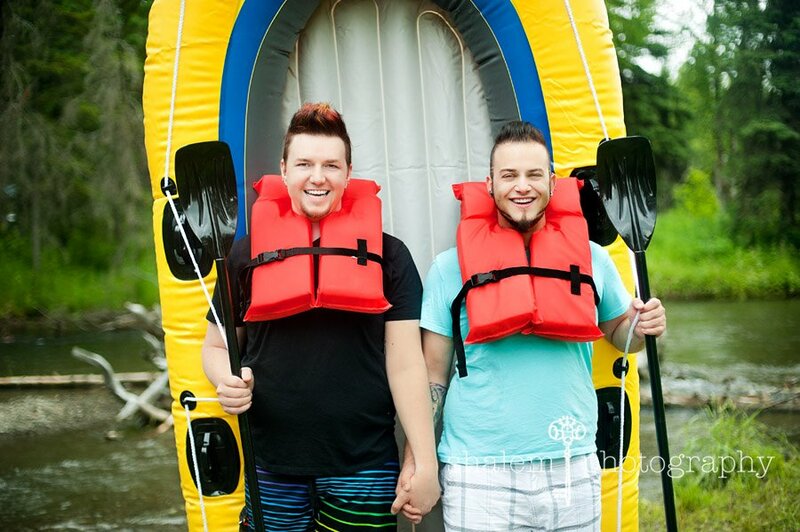 Can't get enough, here are some more couples that participated in the Love is Love project. 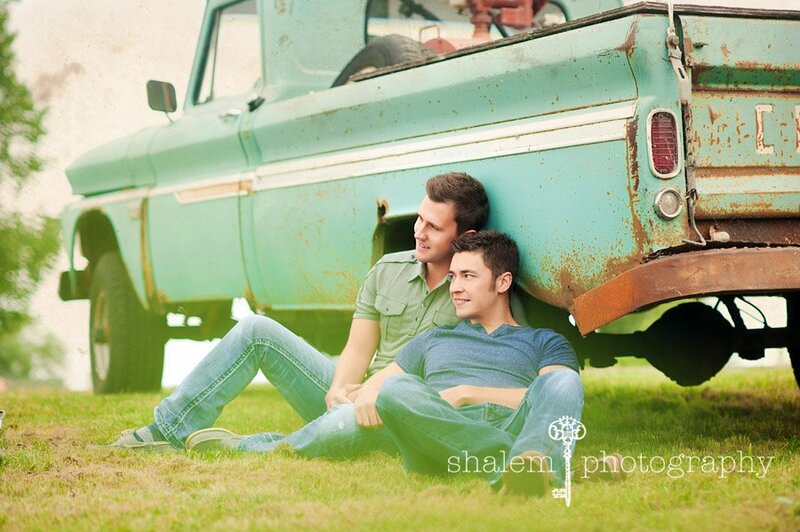 For more photos, check out Love is Love's gallery.